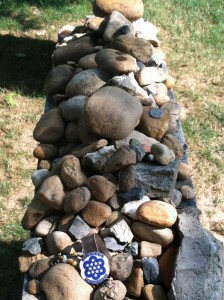 What rocks atop graves means is the runaway most read post on a daily basis in the near three years of my blog. Rocks are a Jewish tradition stemming from the Bible where Rebecca is buried along the road to Jerusalem by her family with the rocks deterring predators. Today, it’s a way of saying hello, I came by the grave. Americans have embraced the idea and also leave coins and medals. A few months ago, I started noticing rocks atop a grave in Sec. 48 near the Tomb of the Unknowns about 100 feet from the top on the left side when taking the sidewalk from Crook’s Stairs. It’s the biggest pile of rocks by far I’ve seen. Finally, I stopped to see who “Rowe” was. And it’s an amazing story. James N. “Nick” Rowe was a U.S. Army lieutenant who was Vietnam prisoner of war from Oct. 29, 1963 when caught in an ambush to Dec. 31 1968 when killing his guard and escaping. Rowe was nearly shot by American troops in a helicopter thinking his clothes meant he was a Viet Cong soldier. He later wrote “Five Years to Freedom” about his imprisonment. 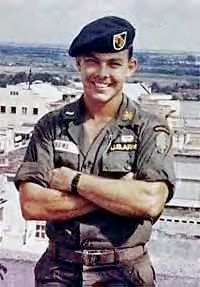 After leaving the Army in 1974, Rowe was recalled to duty in 1981 as a lieutenant colonel to create the Survival, Evasion, Resistance and Escape (SERE) training program taught to high-risk personnel like Special Forces and aircrews. In 1987, Rowe was chief of the Army division of the Joint U.S. Military Advisory Group helping Philippine forces counter the communist New People’s Army. In 1989, Rowe warned military leaders of planned assassinations of high-profile leaders, including himself. He was killed by a sniper on April 21, 1989 in Manila. 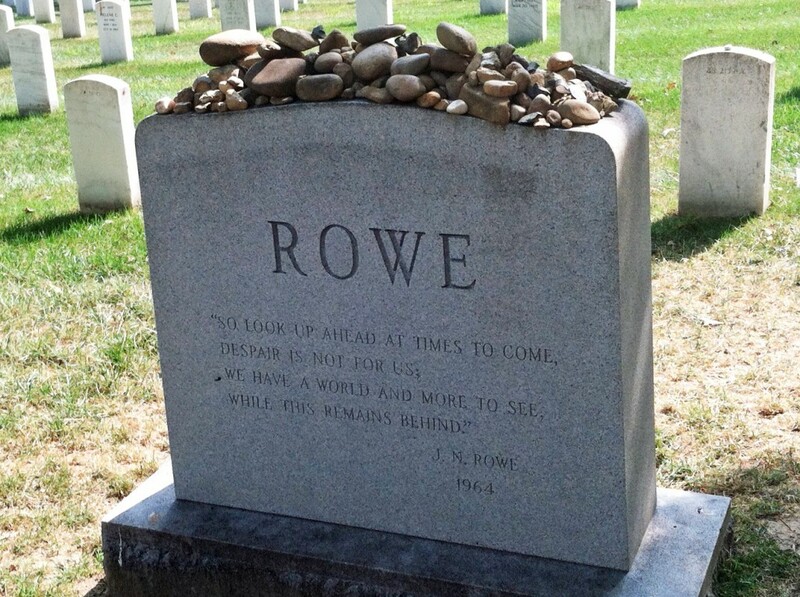 This entry was posted in Arlington National Cemetery and tagged Arlington National Cemetery, Best Arlington National Cemetery tours, Grave photos by Rick Snider, James N. "Nick" Rowe, rocks atop graves. Bookmark the permalink.